Established in 1974, The Woodlands lives up to its name by protecting over 7,000 acres in green space for all to enjoy. It features a 1,700 acre nature preserve, over 130 parks, walking and biking trails, as well as beautiful lakes and ponds throughout. 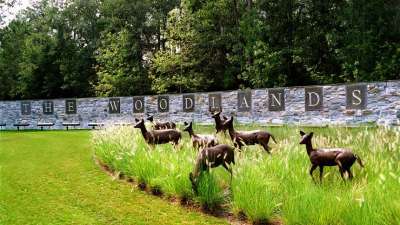 The Woodlands truly offers its residents a community that is one with nature. Located just 27 miles north of downtown Houston, The Woodlands has become a corporate hub for many businesses, such as Exxon Mobil, Anadarko, Woodforest National Bank, and many more. The Woodlands is serviced by multiple school districts – Conroe ISD, Tomball ISD, and Magnolia ISD, depending on the neighborhood and grade of the student. Conroe, Tomball, and Magnolia ISDs have been consistently ranked as some of the top school districts in Texas. When it comes to entertainment, The Woodlands has it all. Enjoy upscale shopping at Market Street, Hughes Landing, and The Woodlands Mall. Dine at over 200 unique restaurants, and go see a concert at the Cynthia Woods Mitchell Pavilion. Or sit back and relax on a water taxi ride at Waterway Square. And of course, don’t forget about the outdoor fun to be had on a nature trail or a picnic in the park. The possibilities are endless in The Woodlands.